Tina Trout, APRN, ACNS-BC, CDE, Certified Diabetes Educator at Beebe Healthcare, was honored with the Delaware Diabetes Coalition first leadership award. The award will also bear her name – The Tina Trout Leadership Award – and be given annually at the Diabetes Expo, held each November in Dover. The award recognizes an individual who has shown passion, leadership, and commitment to those living with diabetes. Trout, is a Certified Clinical Nurse Specialist with the Beebe Healthcare Diabetes inpatient and outpatient programs. 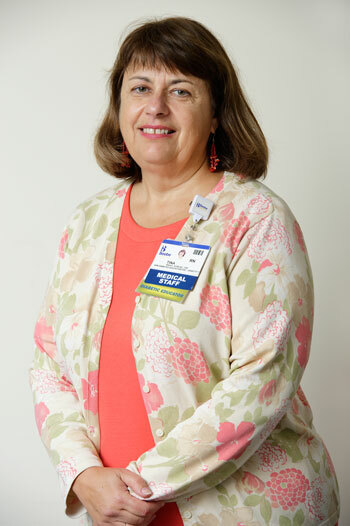 She is the coordinator for Beebe’s Diabetes Self- Management Education Program, which has been recognized by the American Diabetes Association since 2000. She became a Certified Diabetes Educator in 1984 and has been a passionate leader within the diabetes community ever since. Since 2001, Trout has represented Beebe on the Delaware Diabetes Coalition, a statewide organization dedicated to diabetes outreach. The Coalition includes representatives from healthcare organizations, insurance companies, state health organizations and the Medical Society of Delaware, among others. It meets four times each year and Trout is currently Past President. The Coalition’s 10th edition of the Delaware Diabetes Coalition Resource Guide for Persons with Diabetes is available at no cost in all Delaware hospitals, Delaware Division of Public Health and online at www.dediabetescoalition.org or by calling (302) 388-9728 for a copy. The Resource Guide includes information about diagnosing diabetes, Diabetes Standards of Care, self-management, financial assistance and statewide resources. The 75-page booklet was developed by a team, which included Trout, in order to provide a one-stop information source for people with diabetes throughout Delaware.